NEED HELP BOOKING A ROOM? A beautiful, luxurious, self-catered condo complex on the Caribbean Sea in Beautiful Placencia, Belize. Los Porticos Villas are 27 private residences with many available for rent. 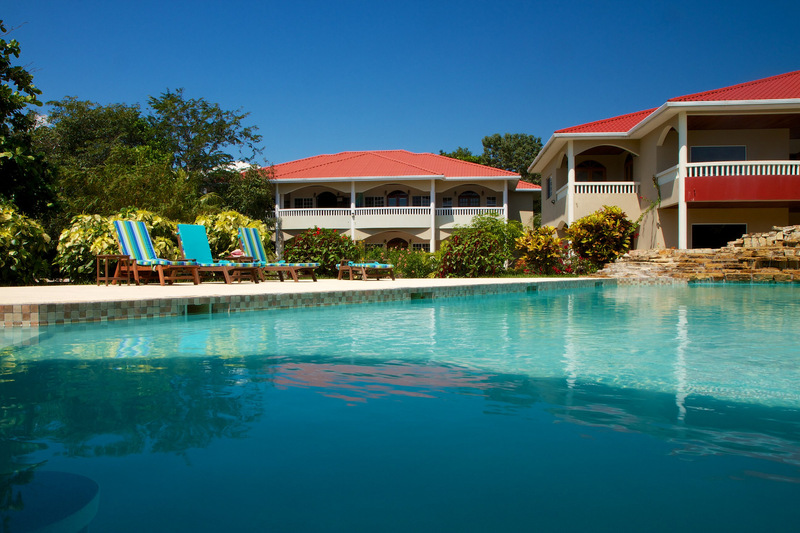 Located 1 mile from Placencia Village Center and close to the local airport. 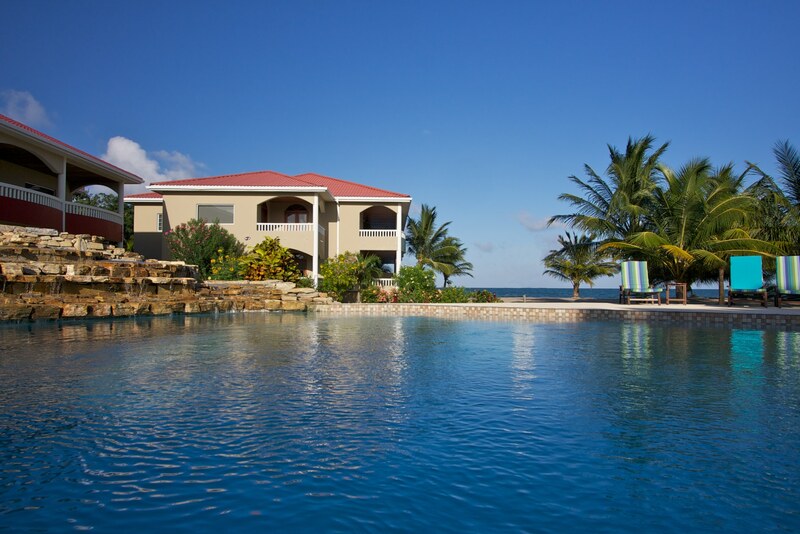 A lovely setting for couples and families looking for a quiet comfortable Caribbean vacation. Join us for your beach getaway. Whether you are on a friends’ getaway vacation, Jungle & Sea adventure vacation package, family reunion summer holiday, romantic wedding or honeymoon, or corporate retreat, Los Porticos Villas in Placencia offers beachfront accommodations with private white sand beach and crystal clear, turquoise waters for a perfect Belize vacation. 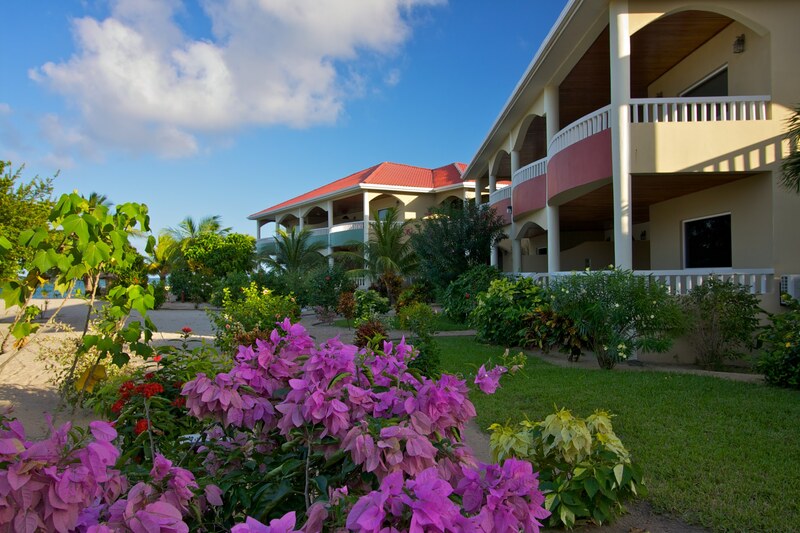 Nestled in 3 acres of lush tropical gardens, we offer 1- and 2- bedroom casually elegant condos with all the amenities including tropical hardwood furnishings, local arts, walk-in showers, fully equipped kitchens, washer/dryers, dining areas and spacious covered verandas. Each villa comes with a flat screen TV with satellite cable in the living room, bicycles, in-room safe, swimming pool access, A/C in all rooms, free Wi-Fi, and much more for that perfect Caribbean beach vacation of your dreams. La Dolce Vita Restaurant offers gourmet dining on-site. Chef Simone is open for dinners and serves delicious pasta, seafood, pizzas, and to-die-for desserts. Enjoy fresh, authentic Italian cuisine and imported wines right at your doorstep. Or, venture into the charming village of Placencia to discover the vast array of dining and entertainment options. 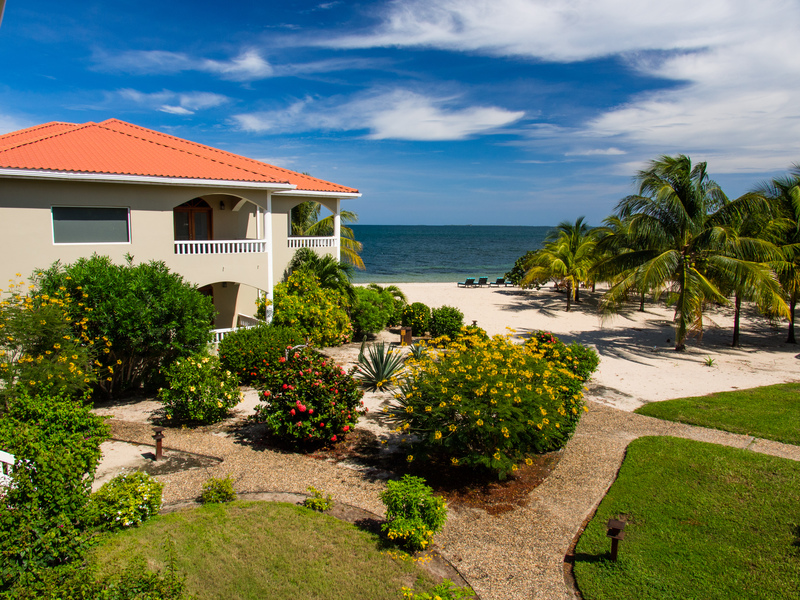 Enjoy the privacy of your self-catered luxury Belize beachfront villa or allow Los Porticos Villas staff to cater to your every need to make your amazing Belize family vacation a dream come true. Dream It! Live It! Belize It! Looking for relaxation or adventure, or a combination of both? Los Porticos Villas can help you find all at great prices and a splash of luxury. 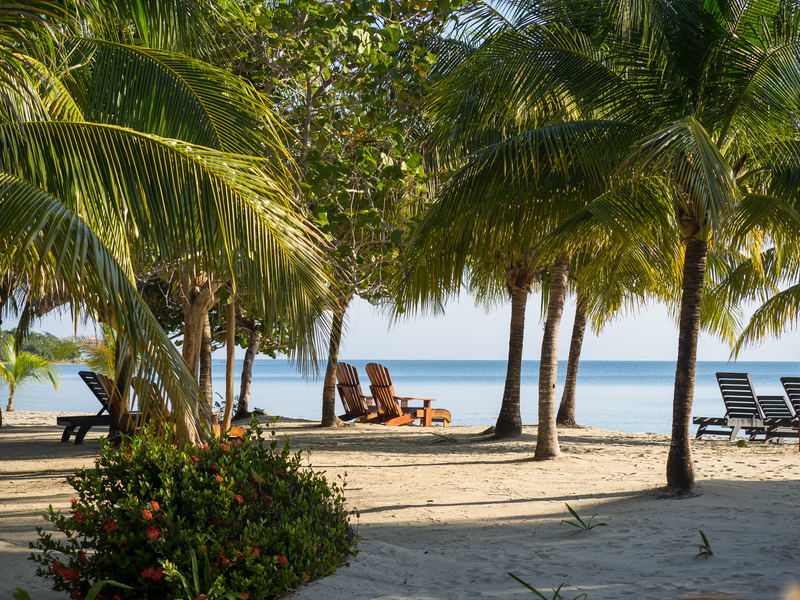 With our ideal location just a mile north of Placencia Village, our guests enjoy being far enough for tranquility and relaxation, yet still close enough to explore the village culture, restaurants, bars and shops. Placencia, with its diverse cultural background, magnificent beaches, amazing fishing and cultural history, is a village with some of the most wonderful activities and sightseeing adventures that you can experience in your all-in-one Belize adventure vacation. Los Porticos Villas’ special offers welcome you with fantastic discounts and packages throughout the year. From SCUBA diving and snorkeling in UNESCO World Heritage Sites such as the Blue Hole, to world class fishing, inland cave adventures (including the world-famous ATM Cave), Mayan ruins, paddle boarding, kite surfing, waterfalls, zip-lining, river kayaking, horseback riding and extreme adventure activities, Belize has it all. Placencia is short drive to the lush tropical rainforests and a short boat ride to the largest living Barrier Reef in the world. Or, just relax while lounging on the beach with an ice cold Belikin beer or tropical cocktail and soaking in the warm Caribbean atmosphere on our private beach. It’s all waiting here for you at Los Porticos!